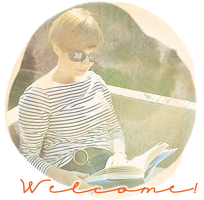 **POSTCARD UPDATE FIRST** Hurray! There are over 30 of us signed up so far. But of course we have room for more. Please see my previous post (It's Back!Pile Of Postcards Valentine Exchange) for further details..
And now on to this month we're in. January: what does it mean to you? - That low afternoon half light, which promises but doesn't deliver. That makes me delighted to turn on my daylight bulb. - A hope for snow, which I keep to myself most of the time because I know it's not to everyone's taste. - Pine needles in the carpet and a vacuum cleaner smelling of fresh forest air every time its turned on. At least until the bag is changed. - The lure of the new dress. My sister and I usually buy each other clothes for Christmas. So I put on my new denim tunic, full of optimism that I'll feel great every time I wear it, all year. - Finding room for things. Shifting stuff around. - Shops full of exercise clothes. Have you noticed that? Racks and racks of lycra to catch us in our determination that this will be the year. I'm sorted, thanks. "Mum," she said, when I opened my gift of some new Pilates leggings, "I couldn't bear to see you go out in those baggy blue trousers one more time." - The kind of cooking I like. Slow cooker stews, casseroles roasts.Get them ready early, put them in the oven and forget about them and everyone thinks you have thoughtfully spent time on a special warming comfort dish. - New books by the side of the bed. How about you? January: yes or no? Nope! I do NOT like January! I drive to work in the dark and come home in the dark and it is cold and miserable! Roll on February I say lol! January usually sees me full of optimism for the year ahead and yes I hope for snow too but then I don't have to travel to work everyday. I have to say yes to January this year, mainly because it has whizzed by and we have lots of fun stuff happening during what's left! I think "Yes!" on the whole. Slow cooker meals and thinking about summer holiday booking being top of the list. Funnily enough I went to Asda earlier with my girl and they have a huge rack in the foyer filled with neon gym wear! Umm mixed feelings for January. Glad to be back into a routine after 11 days away over Christmas and New Years. Glad to have my days off with the baby on my own! Also the hope and promise of spring hangs in the air! What a bright page, despite the gloom outside ... I really like that clustering around your photo. Yes, I am a January fan in some ways - all that Christmas visual razzmatazz has gone, things look clean and simple, wood fires in the stove ... I call them 'bread-and-butter' days. I have mixed feelings about January---it's the start of three long months of cold, snowy weather here usually. I love a fresh start, though, and am already busy purging and reorganizing. It's hard, though, because really January just began this week for me since we were traveling until yesterday! I should make a list like this for my Project Life pages. Your layouts are always inspiring. 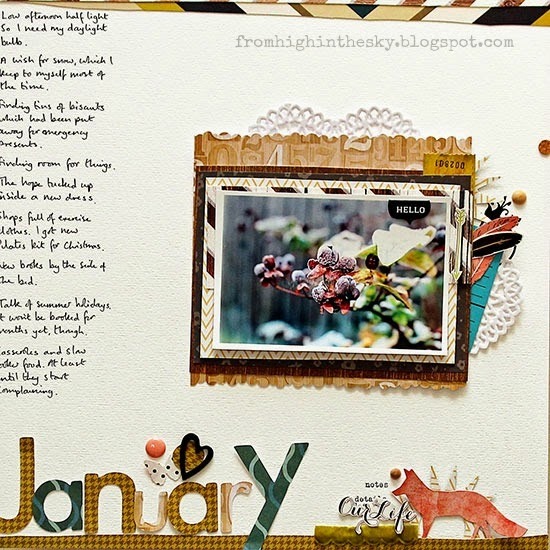 A beautiful page and I totally love your thoughts on January. You have captured this time of year so well. I like January. I am happy to see the holidays end and start a fresh year. I love long evenings and that low afternoon sun. Always so cozy. January tends to be too cold and dismal for me....especially when your central heating thermastat decides to play air conditioner instead. I was thinking about 'Me in January' yesterday. I love your page and that beautiful picture. Do you know what my Christmas present was? Craig wrapped up the paid receipt for our holiday chalet in Drumnadrochit! We had been saying we couldn't go back for at least another 4 years because we had to save for the possibility of helping Devvie move if she got in uni. But he decided we needed one last holiday where we would definitely all be there. I nearly cried. I haven't put it on my blog because, get this, he doesn't want people thinking he's stingy when it's not really a present for me. (It flaming is! My tartan heart fair nearly popped out my chest!) So yes, Summer is booked for us! Eek! Ditto with the hopes for snow - though if it comes I refuse to drive. New books - yep, tick and gorgeous sunsets lately too. The January purge will start soon in the vain hope of de-cluttering and rejuvenating. Ooh and my MiL literally just offered me her slow cooker, she's used it once she said. I've wanted one ages so may have to come asking for some recipes as I don't have a clue! I like the fresh start that January brings . . . and I don't mind the cold weather on the days that the sun is shining. A few gray days here and there are ok, but too many in a row make me long for spring. New books by the bed is always a great thing! I love January. But then, I can't think of a time I do not like. I, too, wish for snow, but rarely do we get any. I like the early darkness too. There's nothing better than lighting some candles and starting a fire. This time of year makes me feel all warm and cozy. Add pajamas, a glass of wine and a good book or my stitching and I'm in heaven! PS That little fox is adorable! I like snow that is polite - turns up doesn't cause any bother and goes away again. I like January - new planner, calendar and year stretching ahead. Love the combination of letters you've used on the title here too. 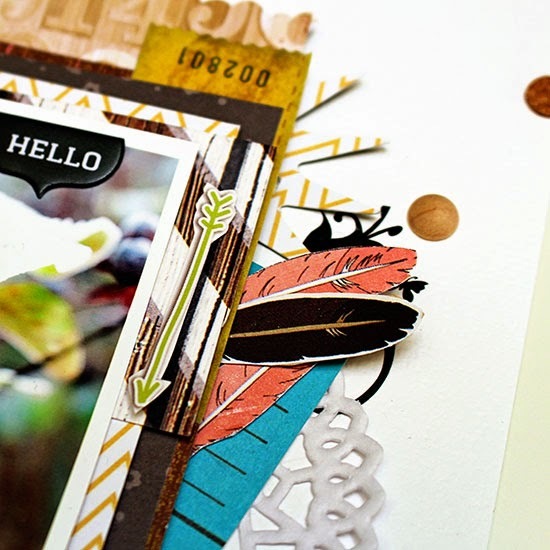 Love this page and the pretty bits behind the photo. 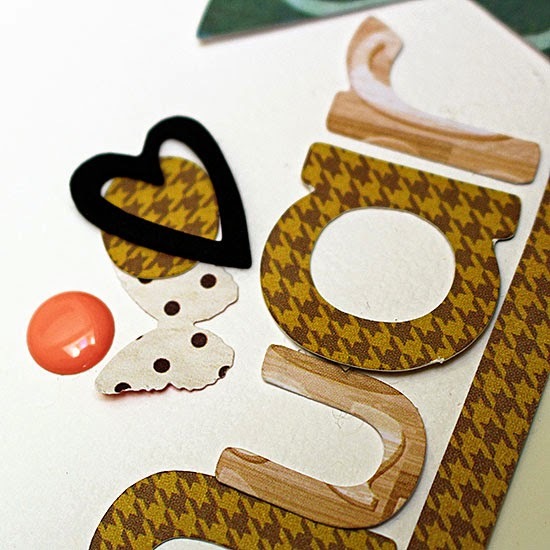 Also love your non-traditional January colours - the woodgrain/brown is such a great touch. I like January, mostly. It's a fresh start. I still feel Christmas-y. I'm not completely sick of winter yet. February is a much drearier month. Some mixed feelings about January - it's so dark and gloomy usually. A month of putting away Christmas and sometimes it seems like it takes a month but also lately a month to get ready for February vacations. Now if this snow would just go away!